Family Moments. Best names ever for his children. pag-ibig Emily and Severus. HD Wallpaper and background images in the Severus Snape club tagged: severus snape alan rickman red passion septimus emily. This Severus Snape fan art might contain electric refrigerator and refrigerator. So sweet ! 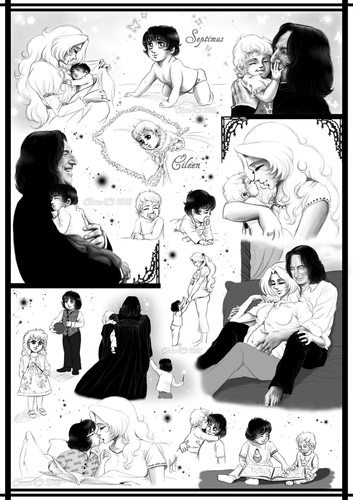 I will post it on the "Severus Snape and Original Female Characters" spot here on FanPop, with all due credit to Clarice/RedPassion (they are the same person). 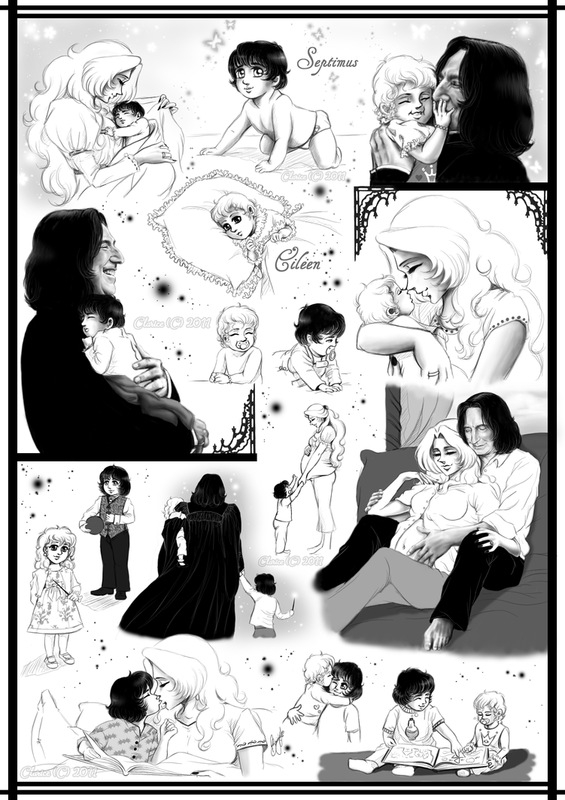 I love how Severus is depicted. So realistic. I love how he looks so happy. "Septimus Snape"? Interesting...Septimus Weasley was Arthur's father. Made me giggle to see this here. I like it. Yes, happy. Happy and loved.